PizzaExpress is really proud of their pizzas and their love for music and art. Since 1965 they have been serving hand crafted pizzas made with the freshest ingredients. Each pizza is made to order by their skilled Pizzaiolos (pizza chefs). 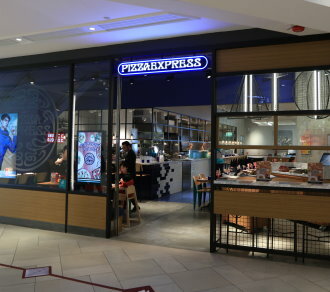 And supporting meaningful causes in the community has always been a key component to the PizzaExpress brand. Beautiful pizza served in a socially responsible and creative environment, as well as their passion for art - they call this "Pizza in Style".